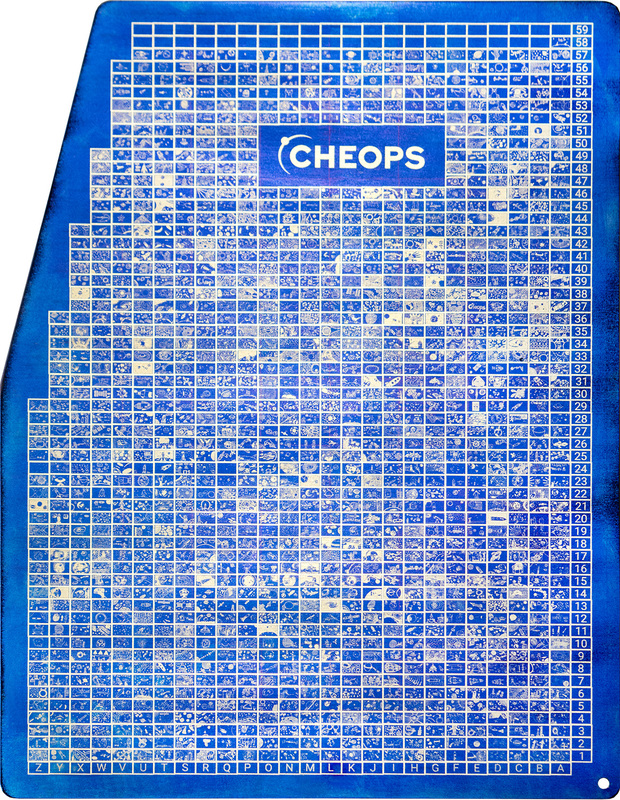 Our campaign to collect CHEOPS children drawings is completing a major milestone as the first plaques have been engraved. The article tells the story of their production and illustrates the beautiful results. 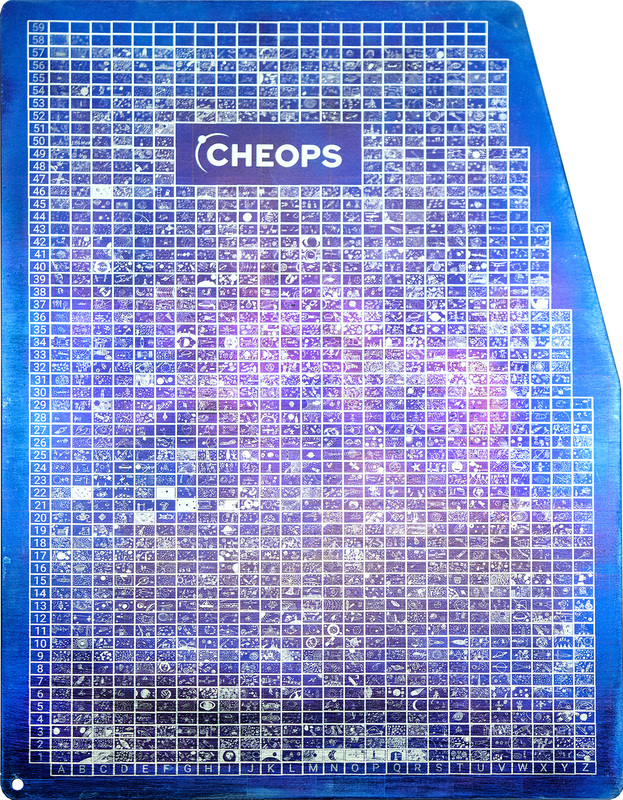 Between March and October 2015, children between the age of 8 and 14 were invited to participate in a competition and submit a CHEOPS related drawing to us to get a chance that this drawing will make it into space. The competition was a great success as more than 8000 children drawings were collected altogether in the participating countries. Local committees processed the drawings and selected the winners by the same set of rules, primarily luck based. At the end, Bern had a set of more than 2700 drawings that were selected to be engraved. In Bern, these drawings were processed by NCCR-PlanetS members Ulrich Stettler and Timm Riesen and converted to greyscale images. To minimize distortion and different rotation angles, the drawings hat to be batched in groups of 10 to 20. Cutting the image section out from the submitted sheets, which arrived in various formats and paper thickness, had to be done manually in a first step. After that, the images were sent to our partner Guido Bucher at the Bern University of Applied Sciences in Burgdorf. There the images needed to be further cut, using software that was created extra for this purpose. To allow the images to be later engraved by laser into the plaques, the greyscale information had to be divided into black and white pixels, finding the ideal threshold for each image with a special algorithm. After this process, each image consisted on 350 x 560 pixels in black and white. The plaques are made of titanium and needed to be polished by hand and later with a laser to maximise the quality of the surface. Primary experiments showed, that best contrast could be achieved if the plaques were uniformly colorized before the engraving. For this, the plaques were immersed in a water bath that contained electrolytes. Now it was possible to use different voltages to create layers of titan oxide on the surface in different colours. This process is called anodizing and a similar effect can be observed when using heat instead of voltage. You might have seen a colourised exhaust on a motorbike where hot gases changed the colour of the chrome alloy. We decided that blue looked best on our plaques. After they were anodized and received their blue oxide layer they were ready to be engraved with the laser. Two mirrors diverted the beam and guided it over the surface of the plaques. At each white pixel’s position, the laser was switched on for a short time of about 8 microseconds. The ablation of the material is in fact minimal, so instead of engraving we could also talk of marking up the pixels. Optically, the blue colour is removed wherever the laser was switched on. A total of 57’699’477 pixels were created like this if we add up both plaques. The total time required for moving and lasing was over 40 hours for the two plaques together. At the end, the plaques needed to be cleaned of any fingerprints and dirt using regular alcohols, which do not harm the surface. 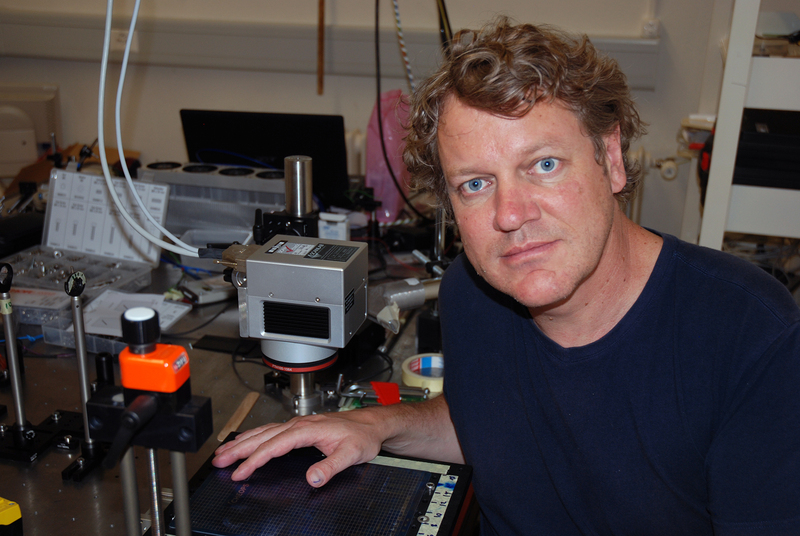 The miniaturised images on the plaques will now be photographed, image by image, in a special facility that Guido Bucher is preparing and programming in Burgdorf. These images will also be published on our website. After completion of this last step, the plaques will be handed over to the satellite team so they can be made ready for launch.